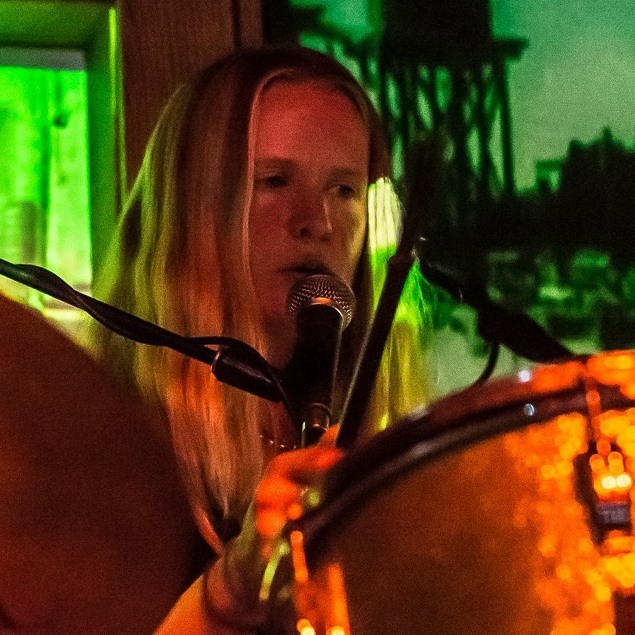 In Episode 3 of the Thick in the Throat, Honey podcast, John and Claudia talk with the sound designer-electronic artist-improviser-composer-and badass mama Juniana Lanning about her artistic growth since having children. How Radiohead was the only thing she and her rock musician husband, Chad, had in common. Their label Fluff and Gravy Records. And why her first child had to learn to fall asleep to extreme noise. 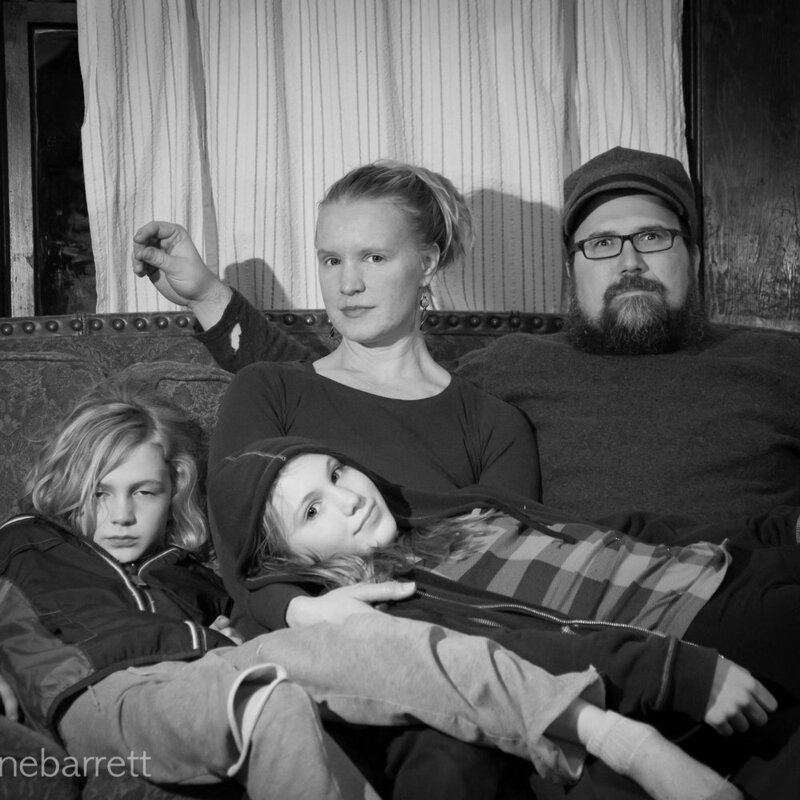 The Lanning family relaxes…for a second. As with all our podcasts, we feature how artist parents actually make work in their homes or studios. Check out the video below for a special tour. Juniana Lanning takes us around her home studio and makes some music. You have to find those little moments in your chaotic family life to keep the fire burning. To keep it going. Those little moments are so important. 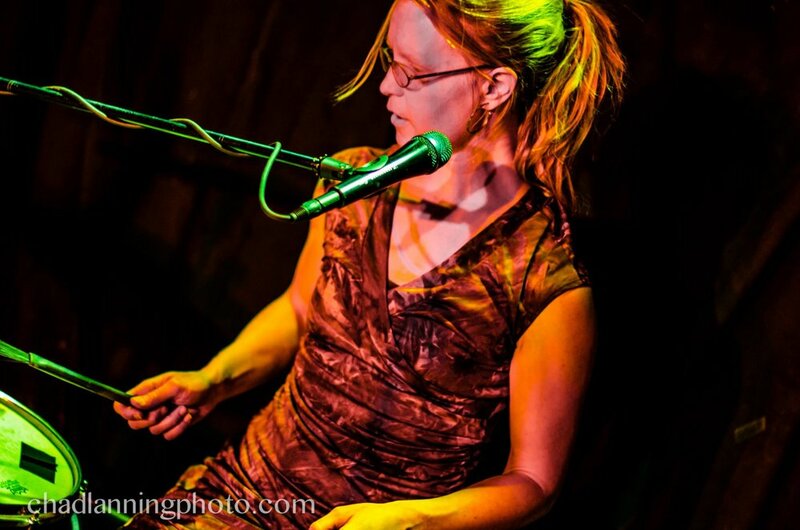 Music can be made with anything, according to Juniana Lanning, electronic musician and sound designer. Here's a favorite method of her children. Juniana singing with drum set. And, don’t forget to listen to the full Lanning family rendition of The Flaming Lips song, Do You Realize?, here.